Yeah. That's a a beauty. I'm off to look at Seikos now. Thanks alot. I've been looking at chronographs. I'm always timing something. Me jogging. Steaks on the grill. The kids. Whatever. 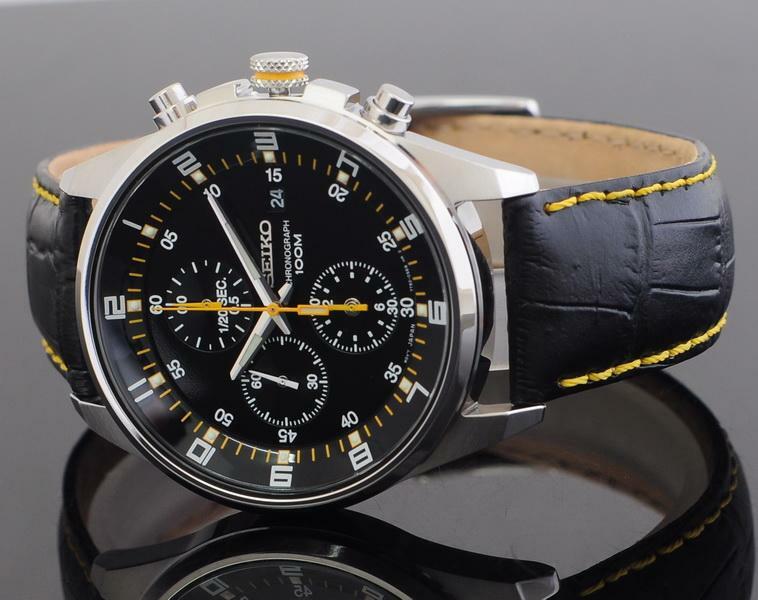 I NEED a nice chronograph. I ended up with this one. I just couldn't pass up the chronograph, water resistance, and the slide rule bezel. A slide rule, yay! It's the smallest flight watch that I could find that Seiko makes. I don't like huge watches. I really like Tsovet watches. They are an American owned company that uses Swiss and Japanese quartz. Some of their watches are Swiss made. They were a local start up a few years ago and I got to know the company. 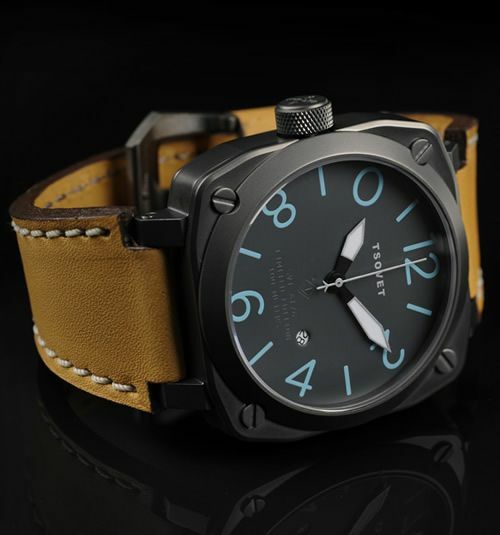 But I really did like their watch style and business ethic. I also wear about five different TIMEX watches from the “Expedition” series. I know this watch . . .
That slide rule is incredibly useful. It has all kinds of unit conversions on it in addition to doing calculations. I think I mentioned this a long time ago: in the past I accumulated a rather large collection of slide rules, mostly Log-Log engineering rules, but also a few specialized ones like artillery slide rules.I have a teaching slide rule (an 8' wooden version of the Pickett 803 ES) in my office at school. A slide rule watch for the collection? A beautiful, truly unique watch, Thunk. It looks like an aircraft instrument. Is there such a thing as WAD? Wad? WAD. As in, "I have Watch Acquisition Disorder so bad I've ended up with one helluva wad of watches." I now know there is. 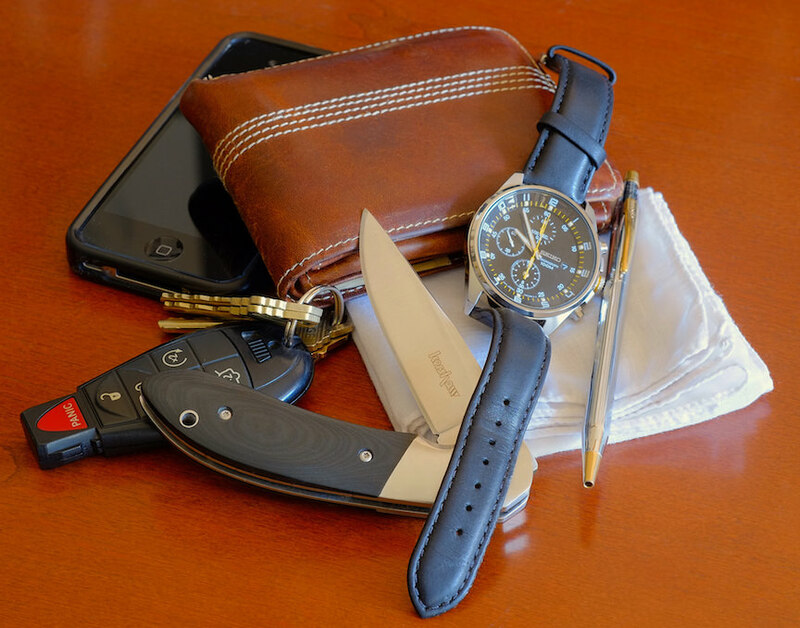 I've perused the watch fanatic sites online. Pipes, hats, fountain pens, watches, bow ties... out of all the ADs, WAD has the potential to be the mo$t Expen$ive by far. I've spent so much time on watch sites over the last week that I feel like I'm committing adultery on my favorite pipe site. The Bambino line is just wonderful. I think you snagged a good first automatic. 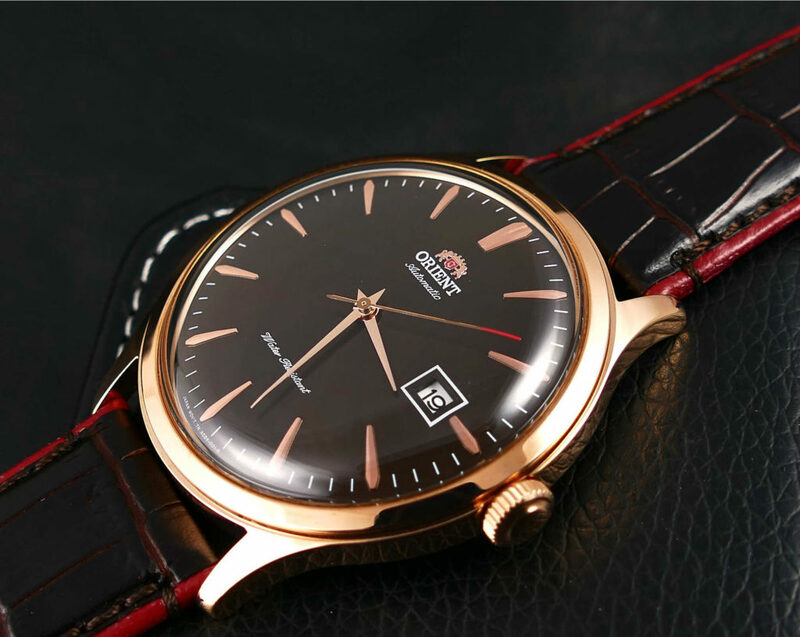 It's the defining watch for the Orient brand, IMO. I'm really considering it. I'd like to have one good dress watch that doesn't break the bank. The problem with most modern watches, to me, is that they are too big. Even the Bambino. A dress watch, especially, should not be too big. I'd like to see it in 36-38mm. I started with a 1930s-1940s era Bulova that my dad passed on to me when I was 12. It's only about 28mm in diameter compared to 40mm or more or modern watches. I've always worn a watch since then and since I started small, I prefer small... but it seems like watches just keep growing in size. Hopefully, the trend reverses. I can go a little over 40mm, but no larger. Here's a pic for comparison: The vintage Bulova (needs refurbished) 28mm, and a Timex Expedition(40mm). 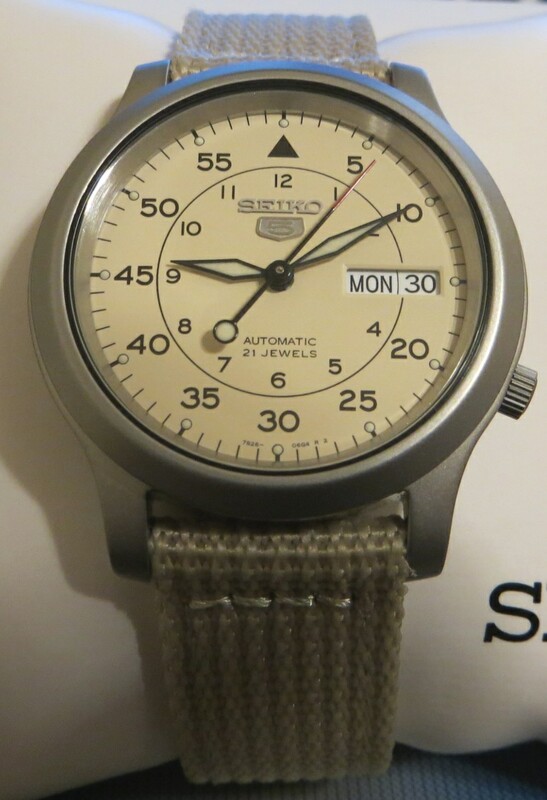 While I have the instantly available rationalization that, no, I have not come down with watch acquisition disorder - this acquisition would be for my slide rule collection, and as much as I like the look and functionality of this watch I will resist. Yes. Three Timex Expedition's and a Stauer for "dress up". That means ware a tie to church. The late wife gave me a Colibri pocket watch, seldom use it, have to remember to wind it. After getting the Orient Bambino so I would have a dress watch to wear when necessary (and as it turns out I have several formal occasions coming up) instead of my old, beat up Expedition, my Expedition looked pretty ratty to me. Of course the searches online for information about watches before that purchase put me on every watch retailer in the world’s email/online advertising list. Watch ads started appearing on all my webpage ad spaces . . .
A new battery for the Expedition will cost . . . new band, that crystal is a mess and the case is covered with scratches, yaddayadda, 100 meters water resistance would be nice for fishing, yaddayadda . . .
And I just got news that l’d won an award that carries a nice monetary prize and Mrs. Durangopipe allowed as how I should spend some of it on something for myself before putting the rest into the family budget . . .
Next thing you know, a new “everyday” watch in the mail. 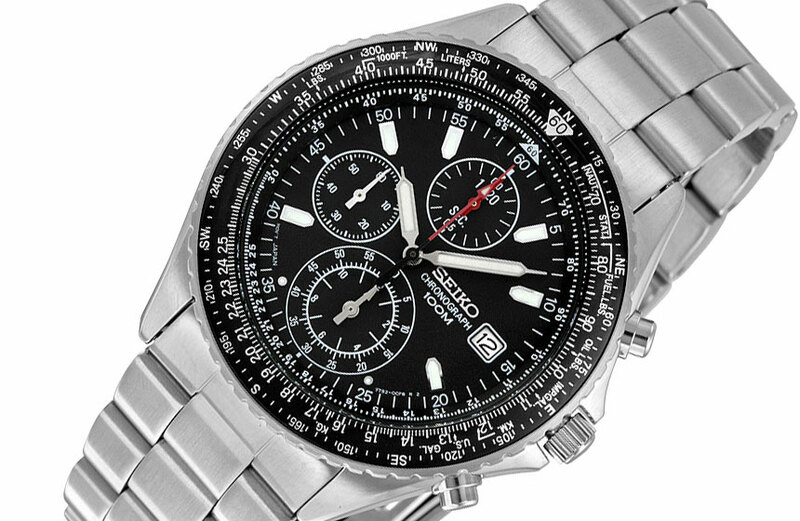 Seiko SNDC89P2, quartz chronograph. $85 - on sale and with the additional 14% off coupon at Overstock. Congrats on the award! That watch is a beauty! What he said plus that looks like quite the deal too. Noice. You got a great deal. and this one on the way: in the smaller 38mm size. Just like pipes, I like my watches on the smaller side. I am a complete Seikophile at this point. I've worn one for years and the fire is still there. I love Japanese attention to detail. Is there anything the Japanese don't do well? Coco and Hugo, you aren't allowed to answer that question. Anyone interested in Seikos should check out http://www.watchsleuth.com/. It's a great help in sorting through all their models. “Cleon” wrote: Noice. You got a great deal. 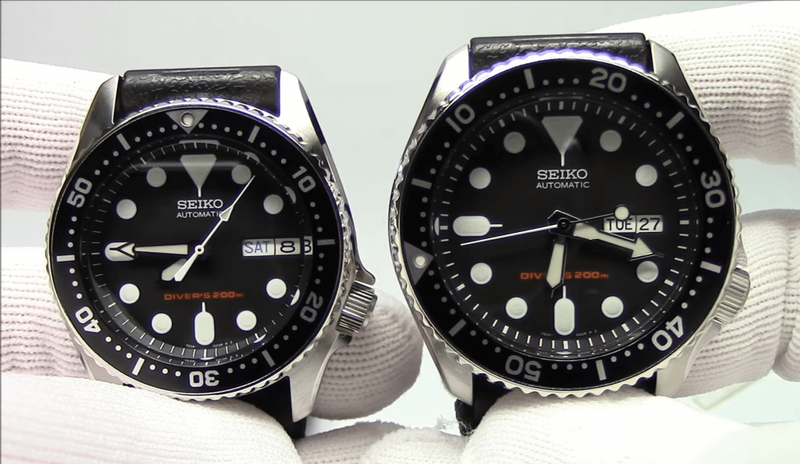 Nice Seiko 5, and sweet diver, Cleon! I bought that same Seiko 5 a while back. They're frequently on sale in the $50 range. I put on a leather band I got off eBay. Great watch. Those 5s are just the greatest horological deal on the planet. I haven't worn leather in years and years because my body chemistry turns them crispy for some reason. I might try a leather strap now that they are cheaper and more readily available via online shops. 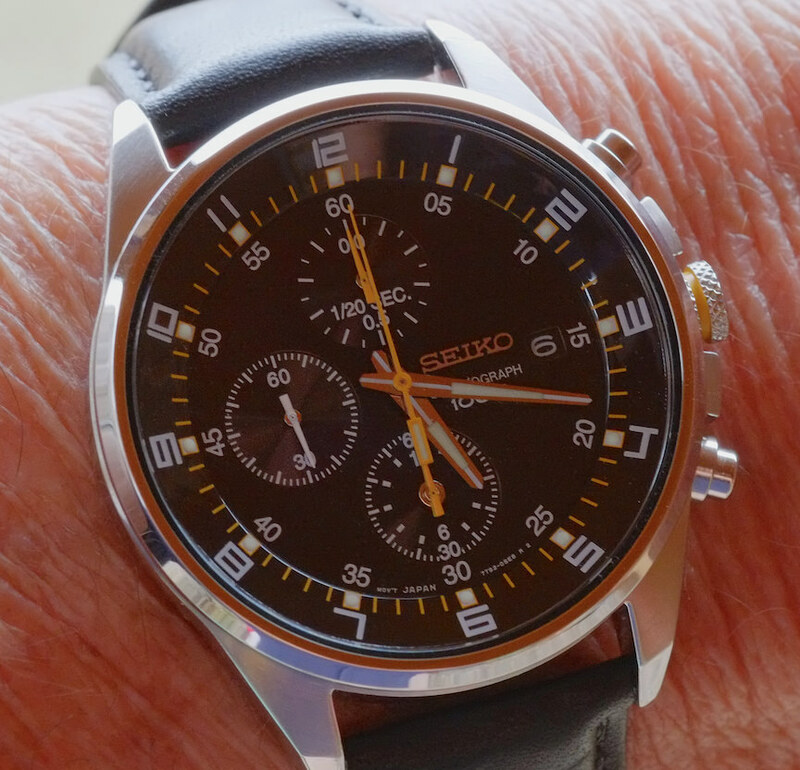 My Seiko Chronograph arrived today. I wasn't crazy about the yellow stitched watchband - seemed a bit "loud" to me. It arrived without a box and with an apology saying that the boxes had been damaged in shipment from the supplier and I could either return the watch, wait for replacements to come and and they'd ship me a box, or I could get a $5.00 refund. I took the refund. So I got the watch for $80. (Added later: I just noticed that the “SEIKO” on the watch face, the hour and minute hands are orange in the photo, which is truly weird because they are actually silver - must have been reflecting something. But I can’t begin to figure out what. I’ll make another photo tomorrow that’s more accurate). The new every day carry . . .
Far more accurate colors on the watch face. Very happy with the higher quality band. An old school Cross ballpoint pen, I like it. Just don’t let the boys in the fountain pen thread find out or you will never hear the end of it.